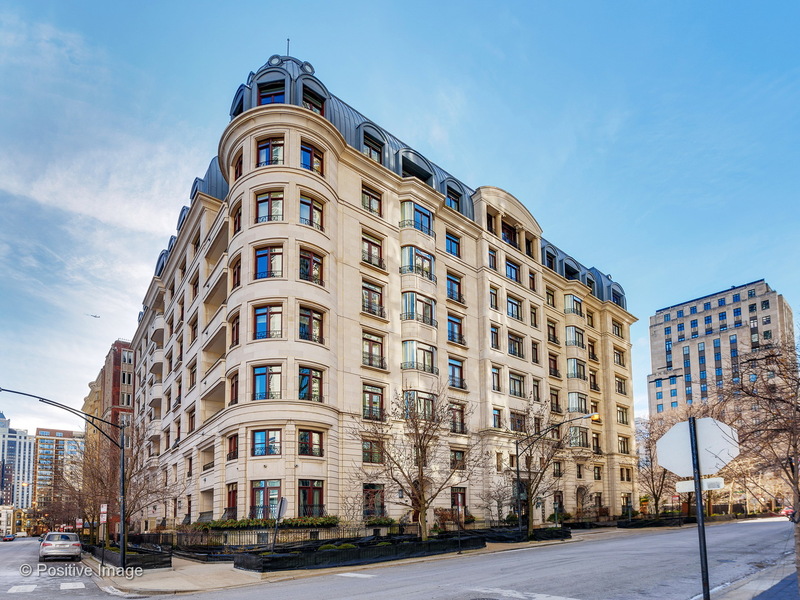 Classically designed home in superb Gold Coast building with premiere locale. Over 5200 square feet of expansive room sizes & luxurious finishes at every turn. Oversized DeGuilio kitchen offers beautiful wood cabinetry, high end stainless appliances, a custom walk-in pantry as well as a separate butler&apos;s pantry w/wet bar & Birger Juell flooring. Perfect for entertaining, the formal living space spans 25 feet & is adjacent to the formal dining. Three gracious ensuite bedrooms including the master retreat w/pa bath, separate sitting rm w/wet bar & a sensational closet/dressing room. There is also access to a west facing terrace w/views over Goudy Park. At the east end of the home you will find a home office, laundry/mudroom, & a handsome library/family rm w/a 2nd terrace that has outstanding views of Lake Michigan. This home is truly remarkable & lives like a single family home. 2 gar pkg spaces. The building has twenty four hour doorstaff and a common rooftop terrace w/fabulous views.